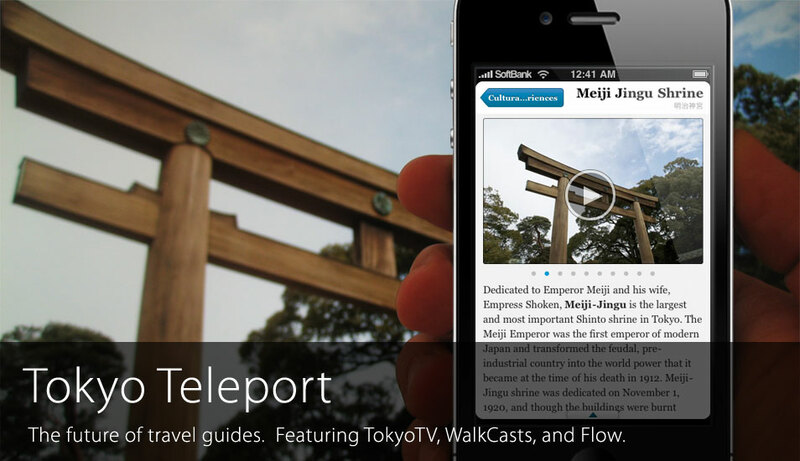 Tokyo Teleport is your video travel guide for Tokyo. With over 50 videos, choosing Tokyo’s best experiences is as easy as watching Elina explain them to you. Just sit back, watch the short cultural, language, and neighborhood TokyoTV segments, and dive right in to the bustling metropolis. And when you want to get there, the WalkCast videos walk you from the subway exit to the front door of Tokyo’s best venues. Director Sayaka Kunii brings you up-close and personal with over 40 of the most exclusive experiences in Tokyo while Elina, your Japanese-American guide, explains all. The short cultural overviews, neighborhood guides, and venue reviews make it easy to get to know Tokyo. There are no street addresses in Tokyo. In a city where the even locals need GPS on their bicycle handlebars, you’re going to need some serious help. Tokyo Teleport’s WalkCast videos take you from the subway exit to the front door of over 50 of the hardest-to-find venues in Tokyo. Details, Details. Just let it Flow. With 150 of Tokyo’s best experiences, Tokyo Teleport not only takes you to the city’s must-see sights, but gives you detailed recommendations on the best things to do when you get there. Photos of the best menu items, the best time to go, and perhaps most importantly, where to take a break or have your next adventure. Because it’s easy to find one or two things that you want to do in Tokyo, but what if they’re spaced halfway across the city? Along with every venue suggestion, Teleport Flows with you to give you suggestions on great next steps. GPS Mapping – No Roaming Necessary. 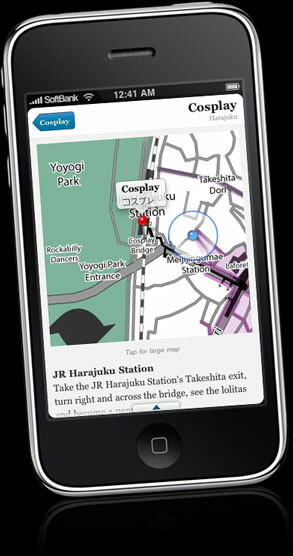 Detailed maps that use the GPS built in to the iPhone show you where you are and where you want to be – completely offline. 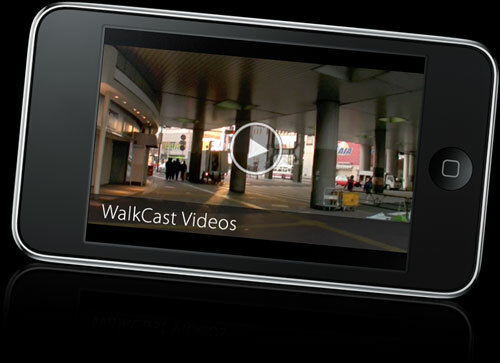 With Tokyo Teleport, you’ll be sure to rock the walk to your next fantastic experience. Sometimes, you just want to know where all the hipsters hang out. So you can avoid them. Other days, you want to window shop in the most fashionable district in Tokyo. But once you get to the subway station, where are the shops? What streets do I meander? No worries – our detailed Overviews and Hood Maps show you where to hang out, eat, shop, and wander. Take a look – then feel free to hop ‘hoods with reckless abandon. Have some time but don’t know what to do? Hit the Teleport Button – Teleport takes a look at the clock, and gives you suggestions on the best things to do right now, right around you. Or refine the selection to make plans for the future. Instant, five-word QuickList summaries of every venue help you pick with just one flick through any venue list. What did they say? Why are they dressed like that? Where’s the bathroom? What am I eating? Tokyo is a crazy, confusing, and completely exhilarating place. Our cultural overviews make sure you know the very basics before stepping foot on Japanese soil. No Data Necessary. 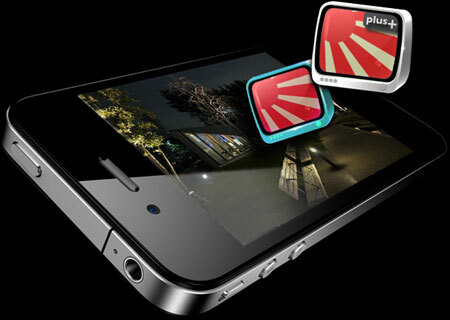 Download Tokyo Teleport before you leave for Japan. We make sure to store all information on the device, so you can avoid the expensive roaming downloads. If you do choose to have a roaming plan, unlock maps and enhanced trip planning capabilities, including route guidance from Google Maps, as well as the ability to open links to venue websites and associated YouTube videos.